March is so sunny and cheerful this year, isn't it? 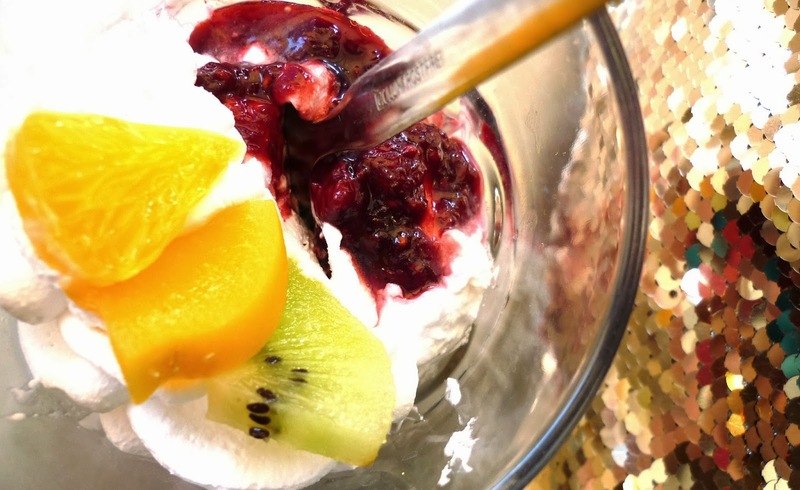 :) I'm celebreating spring by having a fruity rice dessert with tons of whipped cream, yumm. Plus I've just received an e-mail from a March-bride, April. :))) I'm always feeling so glad when I receive questions, custom request from a bride-to-be, I'm even more glad when I can see them wearing the finished jewelry or hair piece!!! I mean real wedding pictures are always have so much more inside, than just a model-photo: in my opinion brides have so much love around themselves on their wedding day, that they shining from inside with reflected light from a thousand-watt spotlight. And this effect can't be replaced by anything. I've just received some appreciation pictures from April. 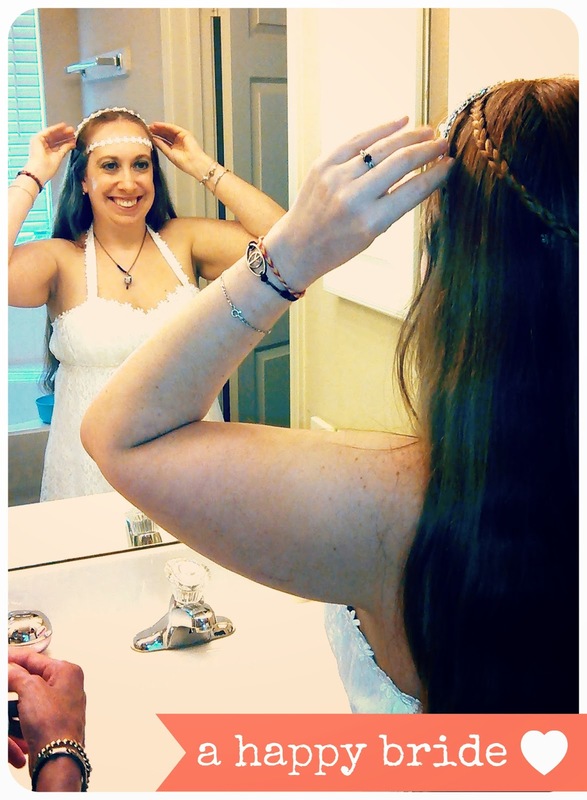 She chose my "Blue Bird of Happiness Boho Wedding Jewelry Set" for her special day to wear it as something blue. She created her wedding dress with her beloved mom, as you can see on pic: it is a white boho daisy dress - and so pretty! I'm sure they made their wedding memorable. Thank you so much April for sharing this great picture with me!! !